Prices differ for different room types. Strictly no amendments, cancellations or refunds once full payment is made. Send our travel consultants a private message on our Facebook Page for a more accurate quotation. Club Med Bintan Island is just a short ferry ride away from Singapore. It offers amazing raw natural beauty with so many ways to rejuvenate your body and soul. With an all-inclusive package, you don't have to worry about the arrangements of your itinerary, just pack and go! Treat yourself to a spa while you relax to the sound of the crashing waves, or have a yoga session with other Gentil Membres (GM or guests) on a private beach. Artistic and cultural activities for kids aged 2 to 17, is also included in the all-inclusive package. Parents need not worry about your kids getting bored on the island. 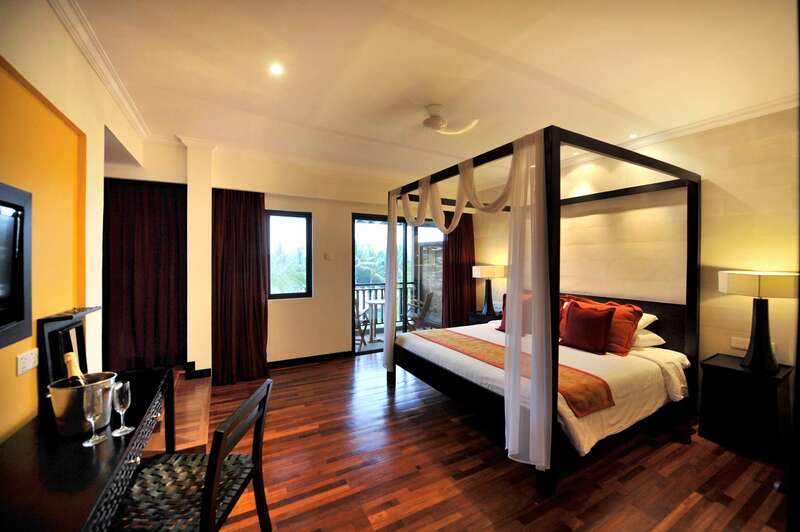 Minimum 3-nights stay, maximum 7-nights stay. 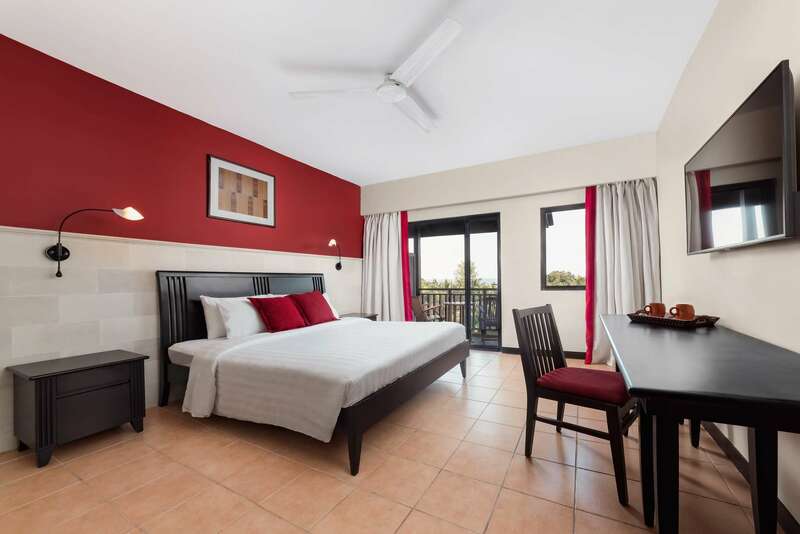 Located on the ground or upper floors, these rooms are large, comfortable and open out onto a balcony. Teak woodwork celebrates island traditions and contrasts beautifully with sunshine yellow or fire engine red. 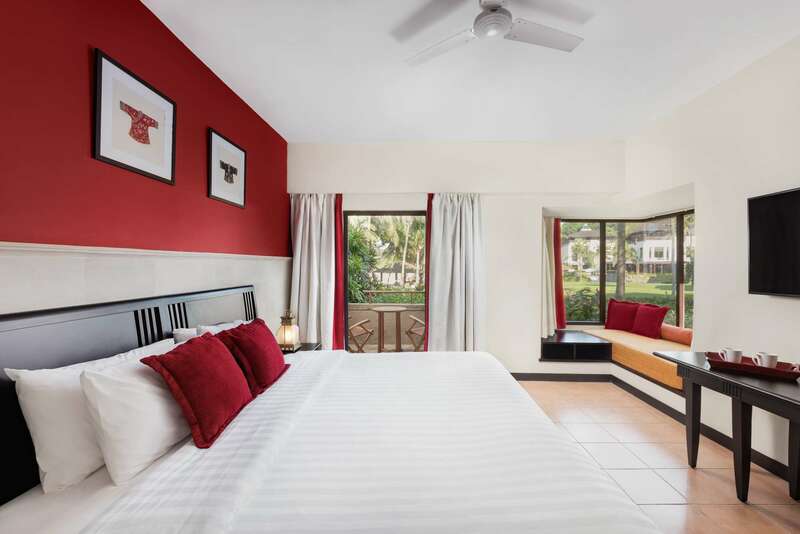 Sleek wooden lines and judicious use of bright colours makes this room the last word in elegance. Enjoy the balcony with its views over the tranquil waters of the South China Sea. Sleep in a canopied bed. Relax on a sun lounger on the shady terrace. Soak in the huge bathtub. Satisfy your desires with this Suite, situated on the third and final floor. The Santaï - Located on the first floor of the main building near the swimming pool, you can enjoy the tranquil surroundings with a refreshing drink in hand. The bar has a cigar humidor. The Bagus - When the nightclub opens, enjoy a drink at this cosy, stylish bar and if you're in the mood, you can dance the night away. The Panorama - Enjoy a stunning view of the South China Sea from the terrace of this chic and welcoming bar on the fourth floor of the main building. The Matahari - Whether you're taking a break between watersports or simply cooling off after a spell on the beach, there's no better way to find refreshment than with a cool drink at this comfortable beachside bar. You can find drinks served by the glass and at the bar only: water, fruit juices and sodas, hot drinks and cocktails with and without alcohol, wines and local and international spirits included in your all-inclusive package! Discover a host of new flavours during your stay, and let your imagination lead the way, from breakfast through to dinner, all included in your all-inclusive package. ...and an endless list of non-motorised sports activities and unique nightly entertainment all included in for you, both kids and adults! Plan a wonderful weekend with us! Contact our travel hotline (65) 63584231 or send us a message on our Facebook Page for more details.